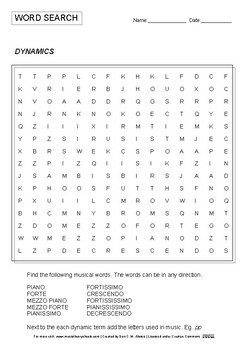 Who doesn't love a good word search? 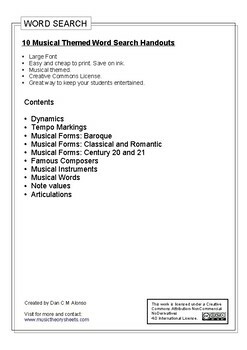 Stuck on ideas to keep your students busy and entertained? 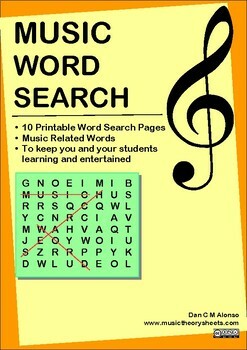 Download this booklet of 10 Musical Themed word searches. MORE to come. 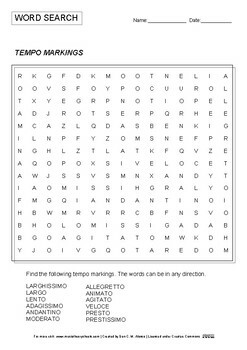 Please follow and rate!! !